Be inspired by the non-stop whirl of life in the city, and use the colorful fabric sets to creatively style and restyle your Bugaboo Bee⁵. Extra colors, plus changeable wheel caps and grips now give you even more color options. Customize your Bee5 with different color options for the frame, canopy, seat, handlebar grips and even the wheel caps. Attach a compatible car seat (adapters required, sold separately), or a cozy bassinet (sold separately, and can also be used independently). The reversible seat allows baby to face you or explore the world, and reclines for naps on the go. You can easily fold the Bugaboo Bee⁵ with one hand. The one-piece fold is compact, light to carry and fits almost anywhere. 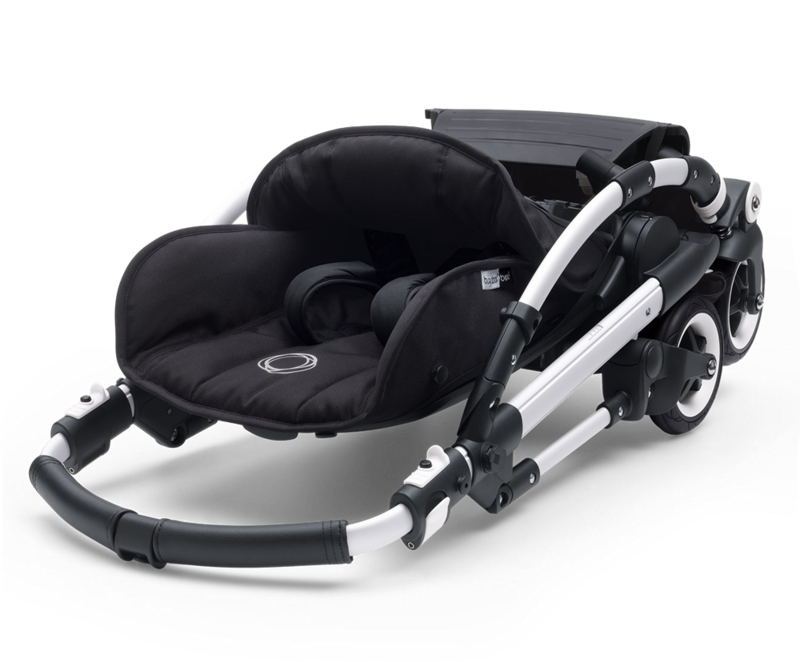 Designed specifically for parents who live life on the go, the compact, light Bugaboo Bee? is a smart choice for urban adventurers with a newborn or toddler. Be inspired by the non-stop whirl of life in the city, and use the colorful fabric sets to creatively style and restyle your Bugaboo Bee?. Extra colors, plus changeable wheel caps and grips now give you even more color options. Pick whichever colors you like for the chassis, extendable sun canopy, seat fabric, bassinet fabric, grips and wheel caps. Extendable sun canopy: for protection against the sun, wind and rain. Reversible seat: Facing you or facing the world, changing the direction of the seat is child’s play. Extendable seat: Pull the seat out to support small legs or when babies are asleep. Push it back in for bigger children. Height-adjustable backrest: Grows with your child in four steps. The sun canopy and five-point harness simultaneously adapt. Height-adjustable handlebar with leather-look grips: Enjoy comfortable, one-hand steering, no matter how tall you are. 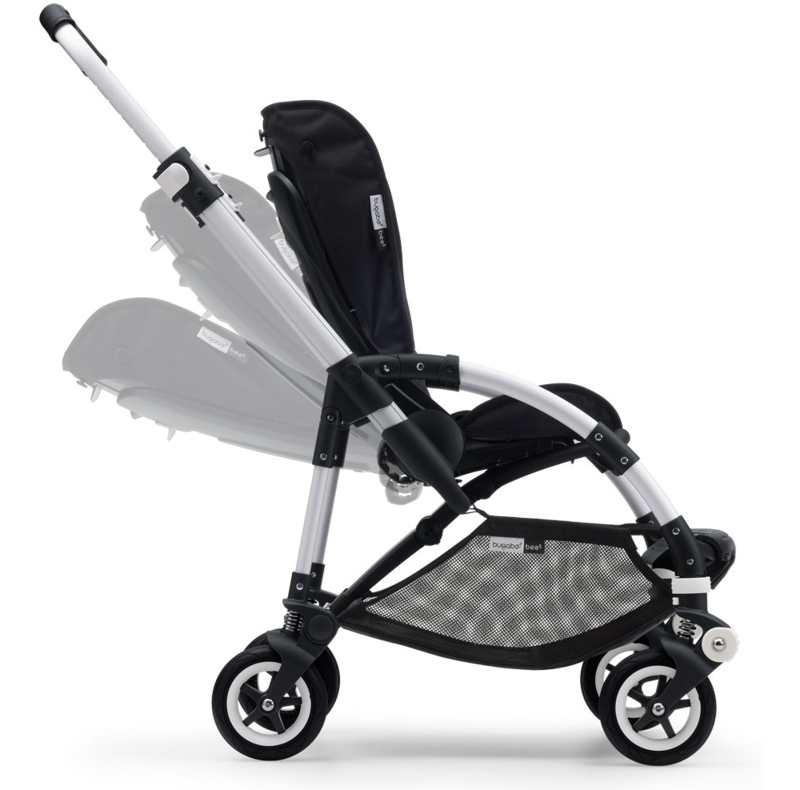 Light chassis, easy compact fold: You can easily fold the Bugaboo Bee? with one hand. The one-piece fold is compact, light to carry and fits almost anywhere. 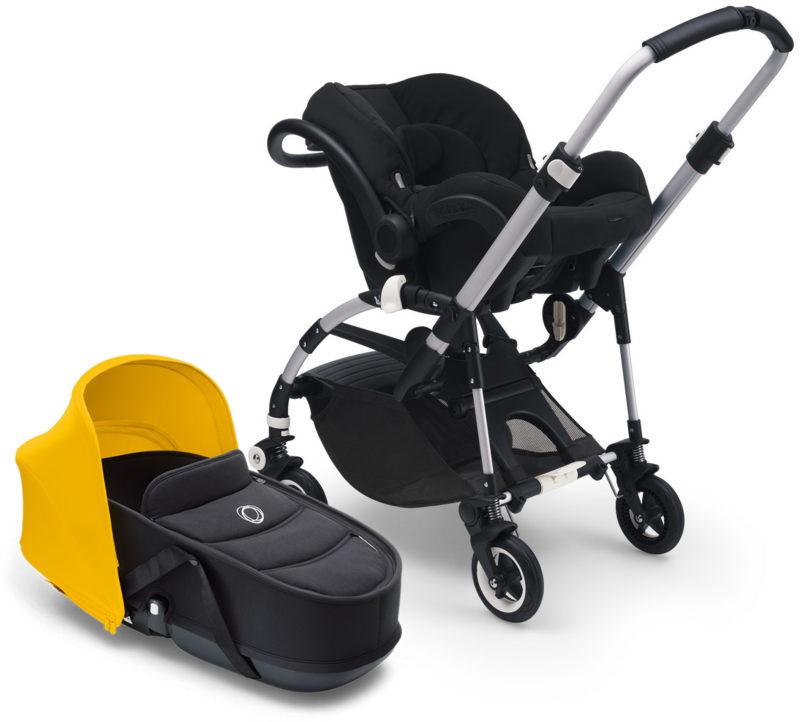 Seat suitable from birth: Keep things compact and cozy from birth with the Bugaboo Bee Baby Cocoon (available to purchase separately) in the comfortable lie-flat seat. Independent bassinet: Ideal for newborns, the bassinet (available to purchase separately) can stand independently on the ground. Choose your style: Changeable seat fabric, sun canopy, grips & wheel caps. Independent four-wheel suspension: Turns smoothly and provides a stable, comfortable ride. Comfortable seat, secure harness: The adjustable harness holds your child snugly in the padded seat. 6” swivel wheels and 6” rear wheels with durable foam-filled rubber tyres.. Five-point harness with height-adjustable shoulder straps. Changeable seat fabric, sun canopy, grips & wheel caps. Weight: +/- 8.9 kg / 19.6 lbs. Folded lwh: 90x46.5x32 cm / 35.4x18.3x12.6”. Unfolded width 53 cm / 21”. Underseat basket: 22 liter / 5.8 gal. / max weight: 4 kg / 8.8 lbs.